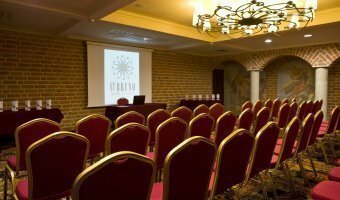 St. Bruno Hotel is an unrivalled event venue for organisation of prestigious meetings, training sessions or conferences. 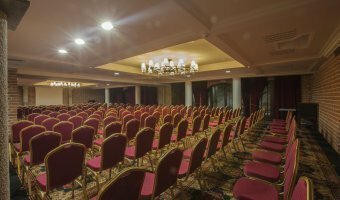 Hotel conference halls may accommodate up to 300 guests whereas foyer or hotel courtyard may serve as a venue for unique artistic performances and other attractions prepared for the participants of the meeting. Every event organised at St. Bruno Hotel is carefully managed by a dedicated event planner who ensures continuous guidance and provides professional support not only at the stage of planning and organisation but primarily during the event itself. A large conference room in the basement of the castle (125 m²) can accommodate up to 140 people. Length: 10.20 m, width 9.20 m, height: 2.70 m. Spacious, interestingly arranged foyer in front of the room is a great place to organize a coffee break or networking conversation during the conference. 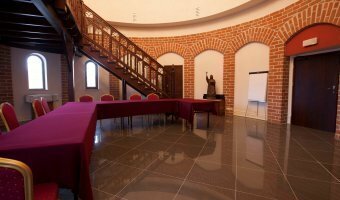 A large conference room in the basement of the castle (125 m²) can accommodate up to 140 people. Length: 10.20 m, width 12.80 m, height: 2.70 m. Spacious, interestingly arranged foyer in front of the room is a great place to organize a coffee break or networking conversation during the conference. An original glazed pavilion surrounded by a greenery is available for Guests from April to October. The Orangery, overlooking the Łuczański Channel, features a spacious terrace and offers picturesque view over the port harbour. It is ideally suited for organisation of a conference, banquet or a barbecue for up to 250 people at the same time. The Orangery is equipped with a screen, portable multimedia projector and Wi-Fi Internet access. High hall situated in the tower may accommodate up to 40 people. Due to its refined design features – height of 12 meters and a mezzanine – the hall is a perfect fit for organisation of high-end receptions and meetings. The full catering service to the hall is provided by La Bibliotheque restaurant. St. Bruno Hall is equipped with a screen, projector and Wi-Fi Internet access. Individually adjustable air-conditioning ensures the highest comfort of meetings. 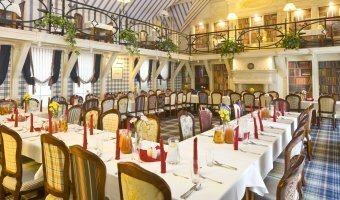 The restaurant may host up to 170 guests (in all rooms). The castle courtyard, adjacent both to the restaurant and winter garden may serve as a venue for shows, concerts or artistic performances. 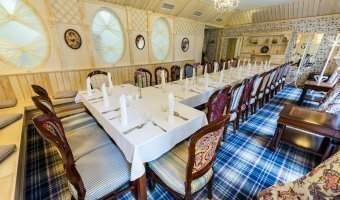 La Bibliotheque restaurant is an ideal place for a wide range of celebrations, no matter if you intend to organise a small private meeting or a corporate gala dinner. The restaurant is equipped with a screen, multimedia projector and Wi-Fi Internet access. Individually adjustable air-conditioning ensures the highest comfort of meetings. 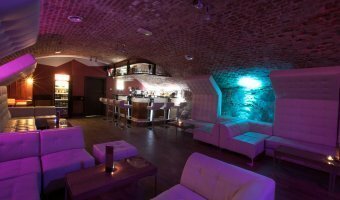 The nightclub is located in the basement of the old castle. There is a bar and 2 bowling alleys, as well as a dance floor. The room is divided into two parts. 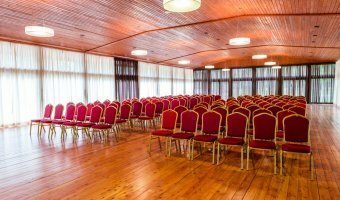 Bar room - length: 10.00 m, width 6.70 m, height: 2.90 m. Bowling hall - length: 14.00 m, width 9.20 m, height: 2.60 m.
Should you be interested in organising conference at Hotel St. Bruno please do not hesitate to call us or write.